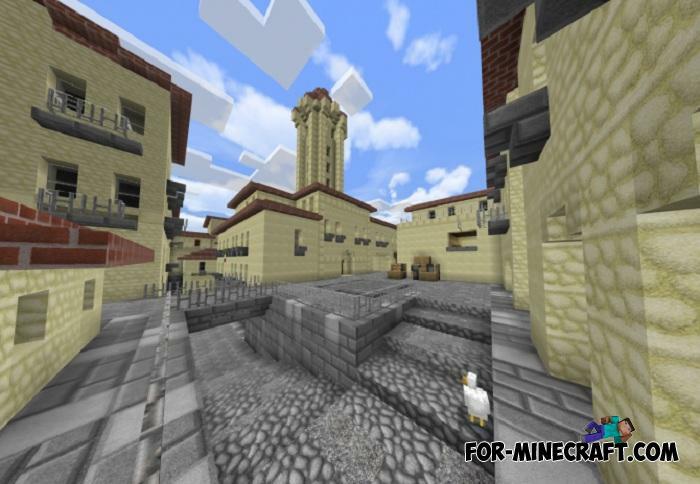 Italy belongs to the base maps in Counter Strike which prompted AzozDaGamer to recreate it in Minecraft. 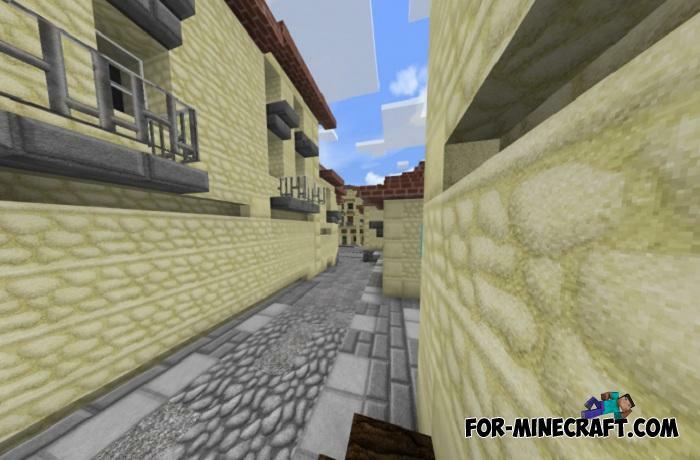 There are other maps from the CS series such as de_Dust 2 and many others adapted for fresh MCPE updates. In the original version, you need to either save the hostages or destroy all CT. But in contrast, this map belongs to DM, that is, each player should think only about himself killing the others. This is a funny mode knowing that a lot of weapons are already built into this project. There is no weapon purchase menu at the beginning of the game, but you can use chests or prepared kits to immediately give necessary items to all players. 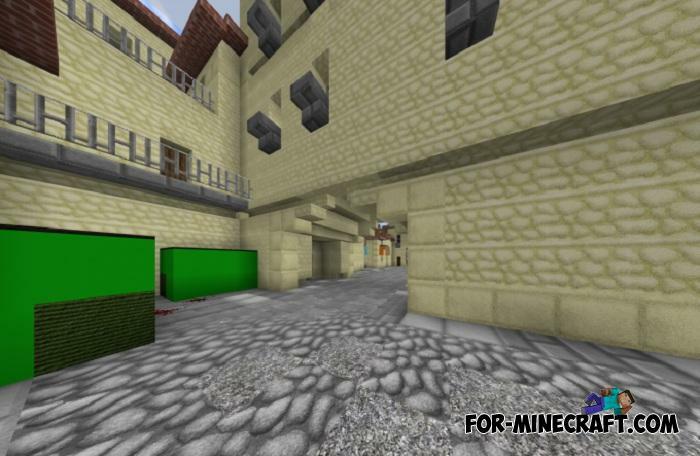 De Dust Counter Strike map for Minecraft PEAnother CSGO map but this one is very accurate and has additional features. You will be surprised..